Flare! 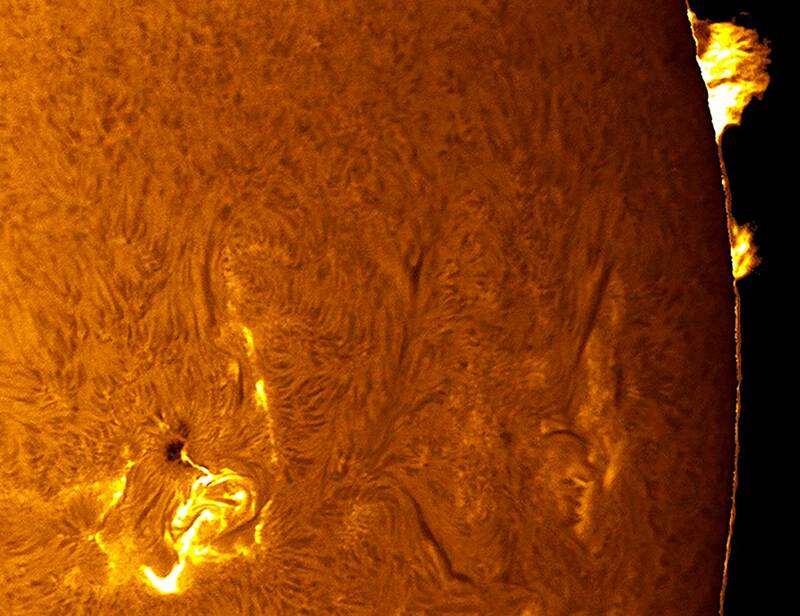 A massive solar flare violently erupts and bursts through the solar Chromosphere then outward into space. 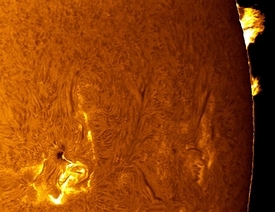 Solar prominences stand illuminated in this Hydrogen-Alpha photograph of the Sun. Featured as a NASA Astronomy Picture of the Day, The History Channel and the American Heritage Dictionary (solar flare).